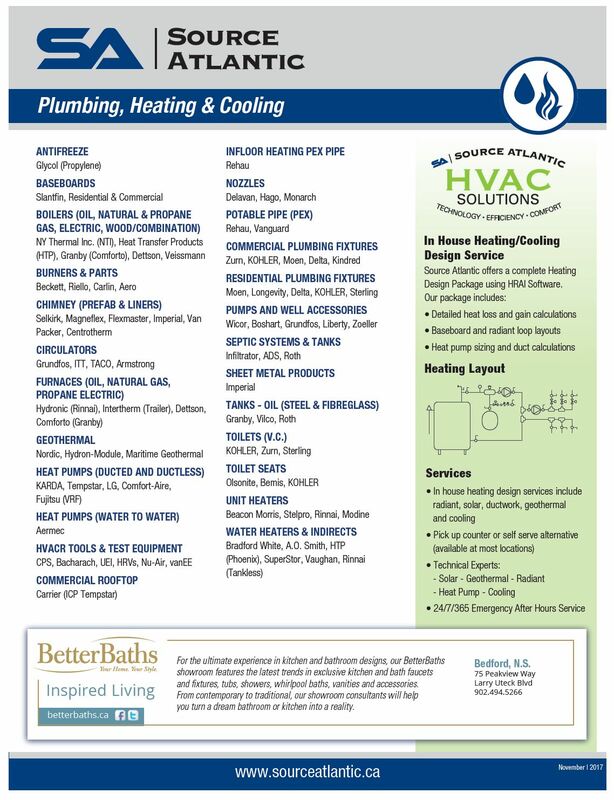 Source Atlantic partners with plumbing & HVAC industry leaders to supply a wide variety of quality products to our professional contractors. These products, combined with our team’s technical knowledge, service and sales support makes Source Atlantic the best supplier for your Plumbing & HVAC needs. 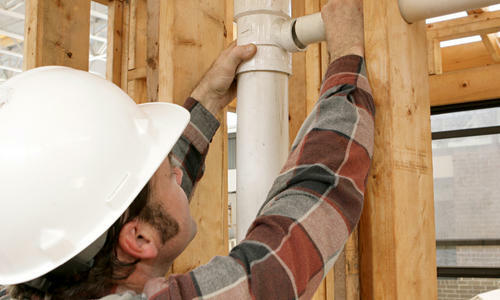 Source Atlantic offers a complete HVAC design service using HRAI Right Soft programs. Our design service includes detailed heat loss and gain calculations, baseboard and radiant loop layouts, heat pump sizing and duct calculations. 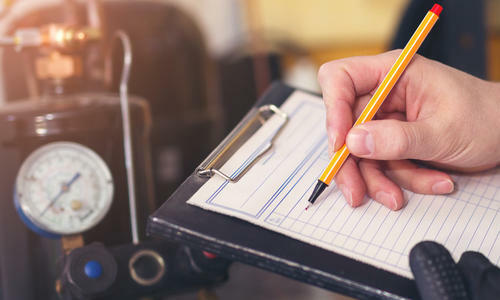 Our plumbing and heating service technicians have more than 100 years of combined industry experience and technical knowledge. They have acquired a reputation for delivering detailed, timely and transparent commercial estimations tailored to customer needs. Source Atlantic offers training to keep contractors up-to-date on technology and products. 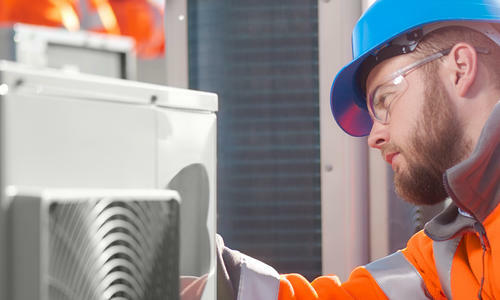 Previous training courses include: Heat Pump Sizing and Ductwork Design, HVAC Troubleshooting and Training. If you are interested to know more about upcoming training courses or to schedule one for your team, please consult your account manager. Better Baths, the retail showroom of Source Atlantic Limited, offers an extraordinary assortment of high-quality plumbing fixtures. Whether you are replacing a faucet or remodeling an entire bathroom, Better Baths' friendly experienced consultants have the unique expertise to help you decide on the best options for your project. The Better Baths team has worked with homeowners, designers, and contractors to create beautiful powder rooms, master bath suites, guest baths, kitchens and much more.